Consumer news. Are planners frustrating a scheme to make it easier to build homes in the countryside, and how good are the private lease deals fuelling record car sales this year? Are planners failing to act on planning guidance supposed to make it easier to build new homes in the countryside? It's been a bumper year for car sales but not many consumers are buying them outright- they are leasing them; are these Personal Contract Purchases(PCP'S) any good? Complaints that a furniture retailer is taking up to six months to deliver goods - why do some firms get their supply chains wrong and can the consumer tell if a store is as good as its word? The Scottish tourist town making the most of dark nights. The host has left the party but is England's exit from the Rugby World Cup really a disaster for the organisers and sponsors? 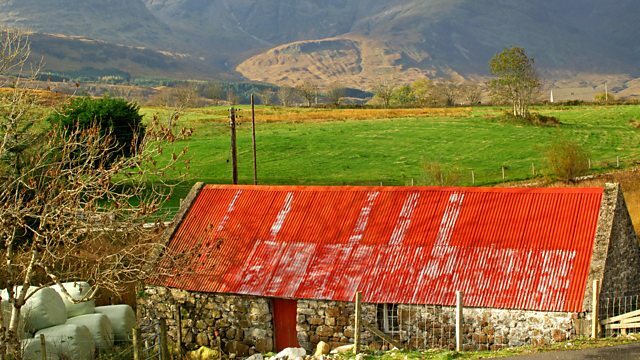 Farmers say a scheme to make it easier to build rural homes is subverted by planners. A rising number of personal lease deals fuel record new car sales. Do the sums add up? The Highland community using dark nights to draw in the crowds. Why do some retailers make such a hash of delivering furniture? England exit the world cup early. How does that affect the big brand sponsors?